An e health app for local government units to manage health programs is a comprehensive solution for budget planning, ongoing monitoring of the implementation of tasks and automatic creation of reports in accordance with regulations of the Minister of Health. Local government units that carry health programs, in particular vaccination programs, e.g. against flu or pneumococcal infection, and prevention programs for cardiovascular disease, lung disease, diabetes, posture or early detection of vision problems. Conducting health programs in the absence of appropriate IT tools severely limits access to current and consistent information and significantly impedes the final settlement of programs. Local government units need a comprehensive IT solution that will speed up access to project information, facilitate communication with the implementers of health programs, ensure consistency and automatic verification of the collected data and enable the creation of an annual report in accordance with the regulations of the Minister of Health. In the course of the project we have created a dedicated e health app that lets you manage multi-annual health programs. The system does not require installation on users’ computers – it is accessible via a Web browser. It has an intuitive user interface and built-in prediction algorithms that allow for the monitoring of failure risk in tasks under the agreements. Moreover, the possibilities of the Sensinum Public Health Office are not limited to the management of chronic disease prevention programs. It also facilitates the administration of programs of prevention and health promotion or programs addressing alcohol and drug abuse problems. Creating an annual report in accordance with the regulations of the Minister of Health. 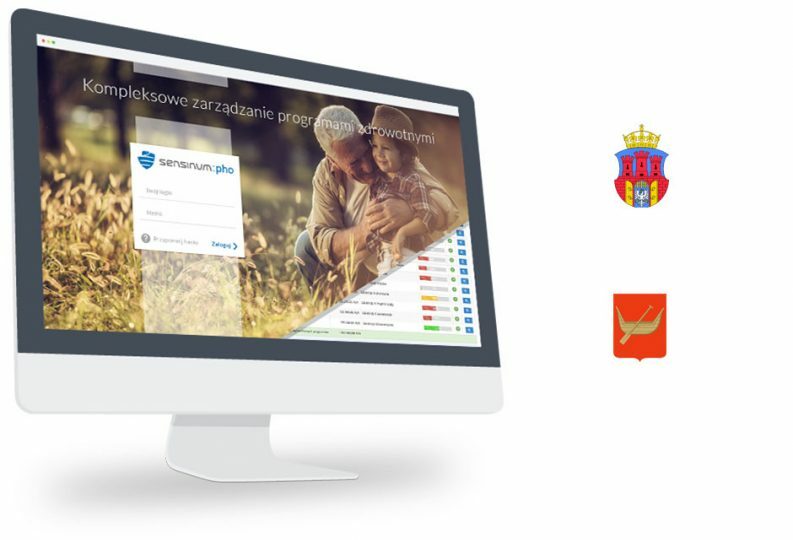 The implementation of the Sensinum Public Health Office in cities such as Krakow and Łódz allowed the digitization of controlling and reporting on health programs. The application has provided ongoing access to current, reliable and verified information and enabled effective and efficient control. Sensinum is a Polish software house producing the highest quality development services for companies, marketing agencies and teams. If you need a subcontractor or want to team up with a software house on your own project, Sensinum is the answer in both cases. With highly skilled developers on board, working with Sensinum guarantees the best possible results. Go on, contact us and consult your software idea for free.